In short four talks and one new crime novel. 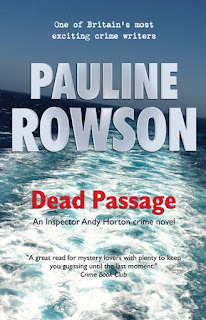 Yes, October 2018 is a busy and exciting month with the publication of number 14 in the DI Andy Horton series, DEAD PASSAGE. 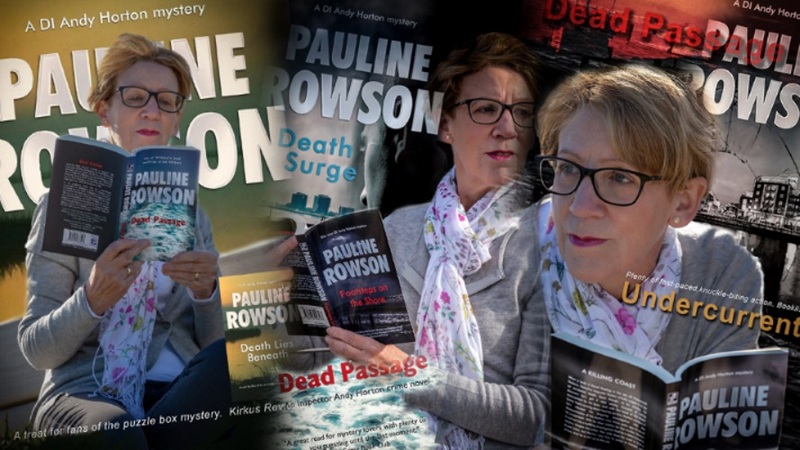 I'm delighted that DEAD PASSAGE will be published in paperback, as an ebook and on Amazon Kindle on 18 October 2018. But you needn't wait until then to guarantee you get your copy because DEAD PASSAGE can be pre-ordered from any bookseller and on line and you can also pre-order a copy from Amazon Kindle. In addition, you can reserve a copy at your local library. Detective Inspector Andy Horton's new investigation takes him into the murky waters of a local politician's death twelve years ago which at the time was thought to be misadventure from a drug overdose. But when Horton receives a mysterious telephone call from Adele Goldsby, the daughter of the dead Portsmouth politician, with an urgent request to meet her on the Isle of Wight ferry because she has something to reveal about her father’s death twelve years ago, things start to change. When she doesn't show for their meeting Horton is inclined to think it was a hoax. Then more information comes to light. As he unofficially looks into the circumstances surrounding the politician’s death he becomes more convinced that the initial investigation was cursory to say the least, a fact that is borne out by Sergeant Cantelli who was on the case. With increasing concerns over the continued silence from Adele Goldsby and as new evidence is unearthed connected to a long ago killing, Horton believes the politician was murdered. Now all he has to do is convince his bosses. I hope DI Andy Horton fans will enjoy reading this latest installment in the rugged and flawed detective's life and that new readers will discover my rather beleaguered and enigmatic detective whose patch is Portsmouth and the Isle of Wight on the south coast of England. In October I'll be busy launching the new DI Andy Horton with a series of talks around southern England. I'm looking forward to giving the following talks, and if you are in the Christchurch, Dorset area on 10 October do come and listen my talk on crime writing and my crime novels. I'll be revealing the secrets of successful writing to members of Old Portsmouth Women's Institute. 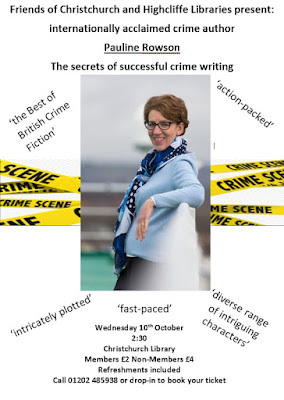 I'll be talking about my crime novels and how I plot, research and write them. Join me at Christchurch Library, Dorset. Tickets £2 for library members, £4 for non members, includes refreshments. Tickets available from Christchurch Library, 29 High St, Christchurch BH23 1AW or telephone 01201 485938. Join me for a spine chilling talk of murder, mystery and mayhem with my heroes DI Andy Horton and Art Marvik. To round off October I'll be guest speaker at the annual conference of the Mid Hants and Wilts Federation of Townwomens Guilds, talking about my crime novels. So a busy and packed October, with time I hope to continuing writing.